Good night shot in IR is nearly impossible with passengers around and loco wont be parked in mainlines. Mostly in the sidings. But I was lucky on this day when I came to board early morning Venad Express. 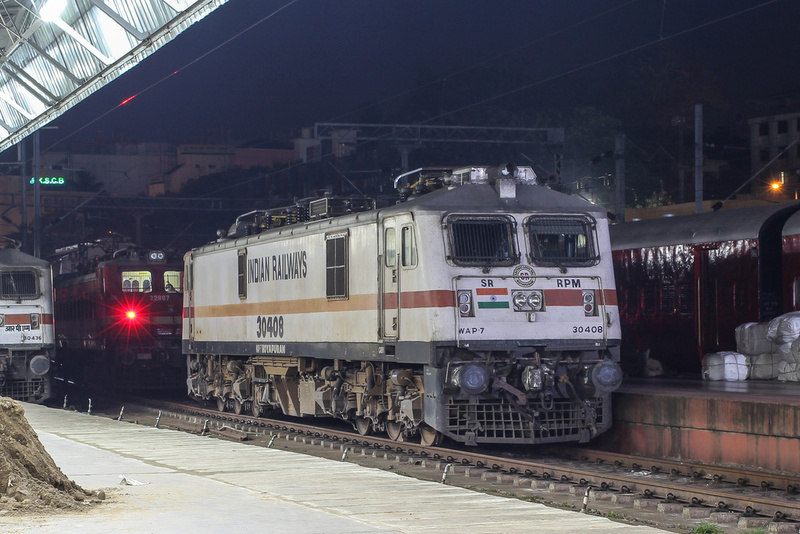 This WAP-7 loco was in perfect place with perfect light. Thus came the first night shot of a loco from my cam.